After the 1941 assault on Crete, elite German parachute units were formed into a brigade. The parachute unit, know as the "Ramcke Parachute Brigade" was created to lead assaults in North Africa against Allied forces and counter act the British SAS units attack. The brigade was heavily involved in the Second Battle of El Alamein, the attack on Stirling"s Special Air Service, and DAK"s assault of the Suez Canal. In 1943, at Tunisia, the Ramcke brigade saw its last battle and was forced to surrender to British forces. 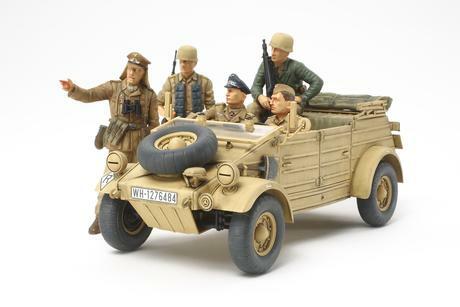 Special Feature 1 Figures represent soldiers of the elite Ramcke Parachute Brigade in North Africa. 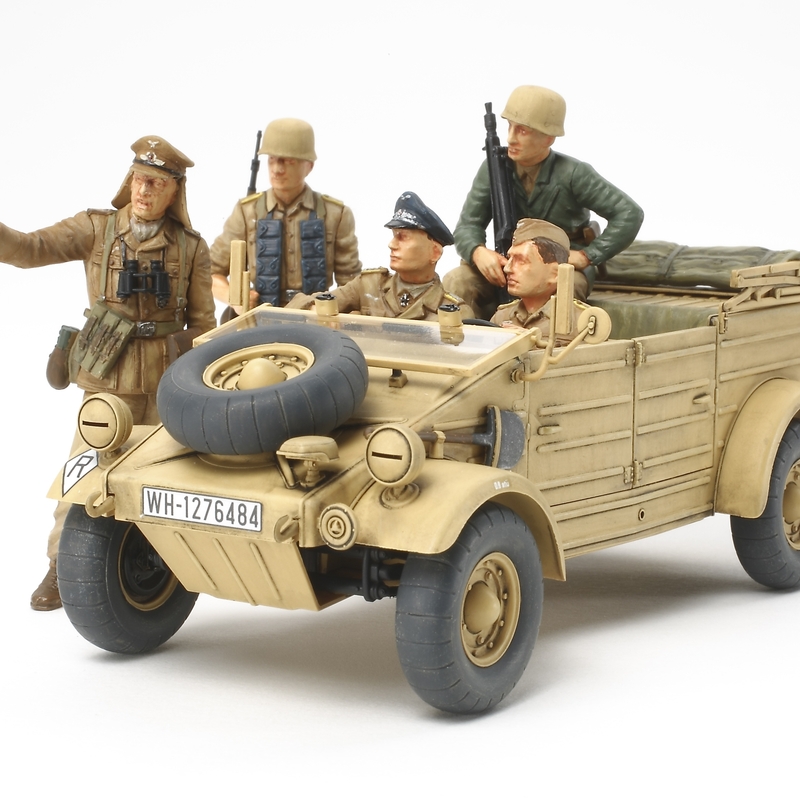 Special Feature 2 A driver, officer, machine-gunner (seated in the rear of the Kubelwagen), a non commissioned officer providing directions (wearing a tropical Herman Meyer hat), and a rifleman figure are included. Special Feature 3 The figure from the original 1/35 scale German Kubelwagen Type 82 Africa-Corps is also included for a total of 6 figures.